What a fantastic breakthrough for the mountain bike industry! 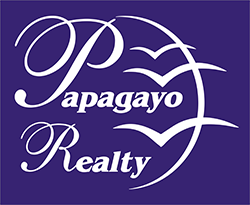 This new technology allows people who may not be the most active or athletic to explore the beautiful country of Costa Rica on a bicycle. 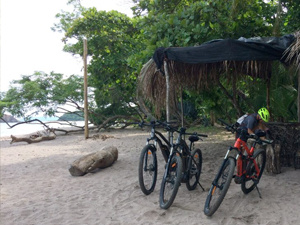 Touring Costa Rica on an electric bicycle is a fun, safe, and efficient way to create unforgettable memories, while allowing the bicycle to do the hard part for you. The electric technology gives you extra power to do what your legs alone could not do on an extreme mountain bike tour. Very steep hills, which normally would be too difficult on a traditional bike, are conquered easily on an electric bicycle! Feel the power of a Bosch Performance Line Electrical Engine on your bike. 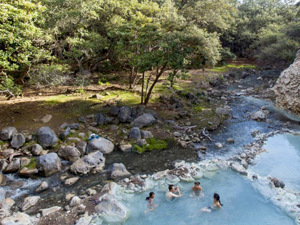 Just set the mode you prefer to use and start exploring what Costa Rica has to offer! For those who prefer to ride a traditional mountain bike, you have the option of not using the motor. If you change your mind while exploring just turn it on and continue your adventure! It’s time to exceed your limits!!! All mountain bikers must be at least 14 years old. 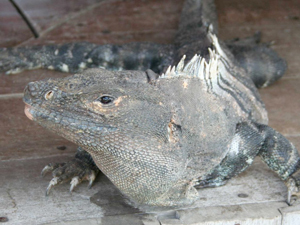 Please bring sport shoes (closed-toe), suitable clothing, sunglasses, sunblock and insect repellent. Please let us know what level mountain biker you are prior to starting your tour. Persons who have the following medical conditions should NOT do these tours: women who are pregnant, persons with osteoporosis, people with severe sight problems, any cardiovascular or respiratory problems, or any kind of physical impairment/disability which would be a danger to yourself or others while on this tour. Following the instructions of your guide is an integral part of ensuring you have a fun, safe and memorable experience. This tour will help you discover the “Pura Vida” lifestyle around Playas del Coco and neighboring Playa Ocotal. 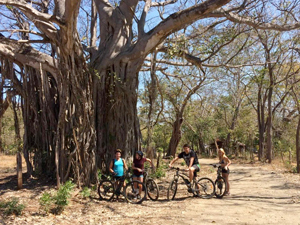 Departing from Playas Del Coco this tour will take you through the natural wonders of Guanacaste. This tour will take you to the heart of Palo Verde Wetlands Park. 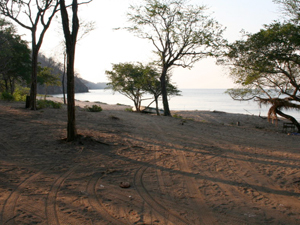 Enjoy a 2.5 hour ride along Costa Rica’s amazing coastline with its pristine beaches and breathtaking scenery. 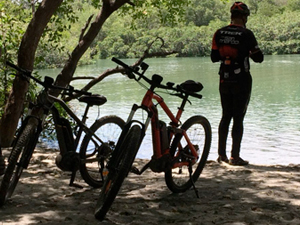 Departing from El CRUCE on the road to Peninsula Papagayo, this ride will take you to the best sceneries of Gianacaste. 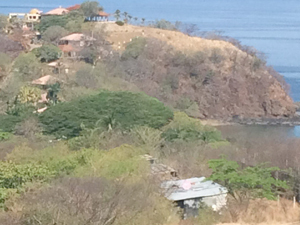 We will take you to the picturesque volcanic peaks of the Guanacaste Mountains.